Favourite Logos:Indianapolis Colts; Kansas City Chiefs; Green Bay Packers; Tampa Bay Buccaneers (nothing below the neck, just the logo and helmet); Ohio State; UCLA script; Tulane; Portland Trail Blazers; most of MLB's "interlocking letters" logos; Seattle Mariners. When I was in my early teens, my parents bought me NCAA Football 98 for the computer. I really enjoyed the game, and it was very well-designed for the most part: 100+ schools; full-season play with rankings, major bowl games, and major awards; school fight songs; decent playbooks; something approximating logos on the helmets. It was a very good game for the late 1990s---not as good as the Football Pro series overall, but distinctly collegiate and lots of fun. 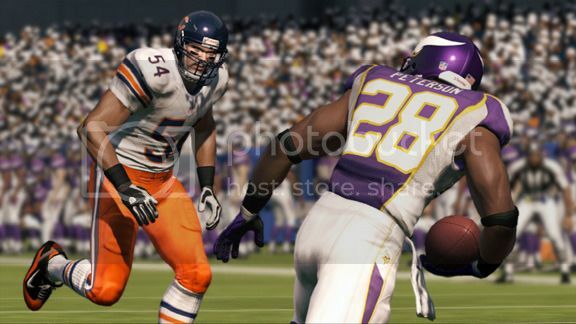 I dont necessarily blame EA on that one, the NFL had the orange pants in the style guide, so they were just following that. Weren't the Seahawks pink in Tecmo Bowl? On one of the recent Madden NFL mobile games, Jacksonville somehow had a pair of teal pants...beats me. Not exactly on topic, but this thread just reminded me of the fact that every time I go back and play NCAA Football 14, I wonder how they'd be able to keep up with all the new uniforms in the current climate of college football (if they ever get to make another college football video game). 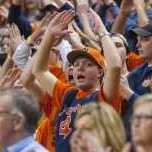 I ended up buying every uniform pack for that game, even though they were sorta overpriced for how few uniforms you got, and I wouldn't want to repeat that in the future. 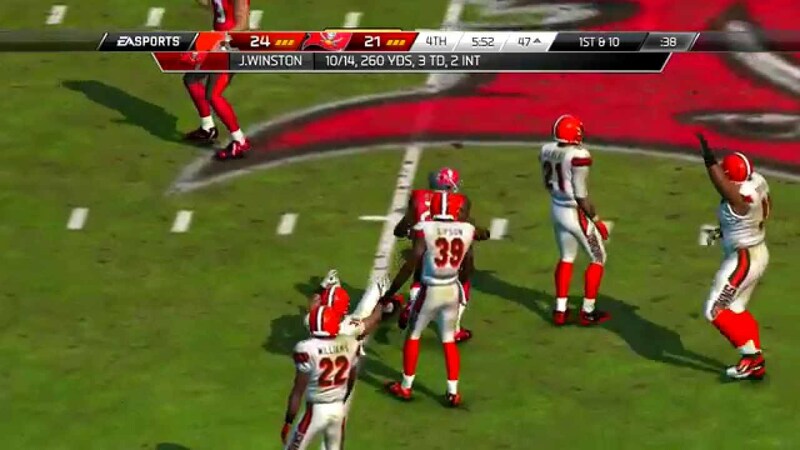 Madden '98 for SNES still had the Bucs in creamsicle orange. It was the last Madden game ever released for SNES, so it's pretty safe to assume they didn't do much more than change the rosters and update the pregame menus, and pass it off as a new game. Not sure, as I haven't played Tecmo Bowl for a long time. However, in Tecmo Super Bowl, the Bills were blue and pink. The Browns' new uniforms are bad everywhere. MLB The Show has too many errors to count. Yes, Seattle was pink. I don't know if it had anything to do with not being NFL licensed. The complaint department is closed. I frequent operation sports which is a sports video game page. I run a thread just on the errors for mlb the show. Fan boys always try to throw style guide in my face. I'm not privileged enough for access to it, but there's no way (for example) the Rays faux back hats are all Columbia blue. People run a madden error list as well. and messed up the Panther's stripe colors. OH - and they had the wrong pants for Washington, I believe that was the first or second year they started wearing gold again. ETA: Just checked, according to Wikipedia, they were wearing gold pants since at least 2011. 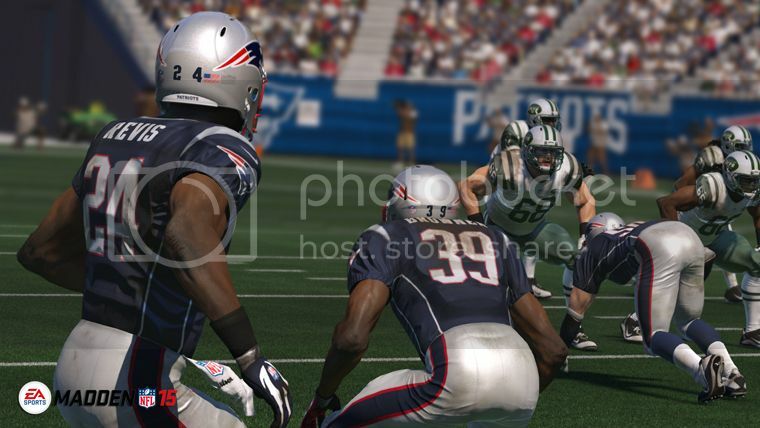 Madden 13 really had a lot of uniform problems. 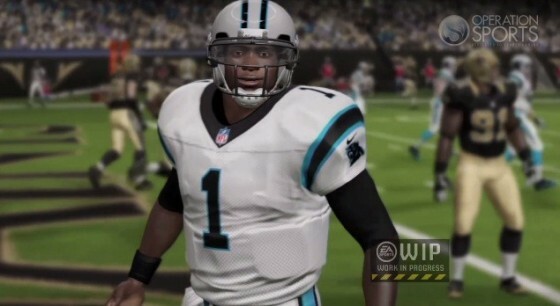 Man, the better the graphics get in Madden, the deeper the uncanny valley gets. Those player models look awful. Yes. Brewers' throwback alts have a shade of blue that's far too light. The Pirates' overused black alts have the number below(!) the "P" on the chest. Marlins' home BP caps are "ice cream man" style instead of the proper white front panel (which I guess was technically never used, but still). The list goes on. Another problem is their "need" to limit teams to a certain number of unis, I guess for the sake of making entities like Franchise mode or Road to the Show "easier" in terms of the CPU making uniform matchups for 162 games. In other words, laziness. EA Sports NHL 2002 had blue helmets with the Leafs' white third jerseys. Not only was it inaccurate, but being a white jersey, that's kinda the NHL rule. Yes, they were, but I think that (plus the use of pink for the Patriots' main color and the Bills' secondary color in Tecmo Super Bowl) was more a function of limitations with 8-bit games and their limited graphics. In the original Tecmo Bowl, the Seahawks' actual colors (blue and grey/silver) were already in use by Dallas. The Cowboys' blue was of course darker than that of the Seahawks at that time, but still, blue and grey versus blue and grey would've been very confusing to the players. Plus I think there were some limitations to how many colors they could accurately portray---the earliest game I ever saw where the Browns wore brown, for example, was Super Play Action Football for the SNES---in the first two Tecmo games, they wore white jerseys over orange pants.